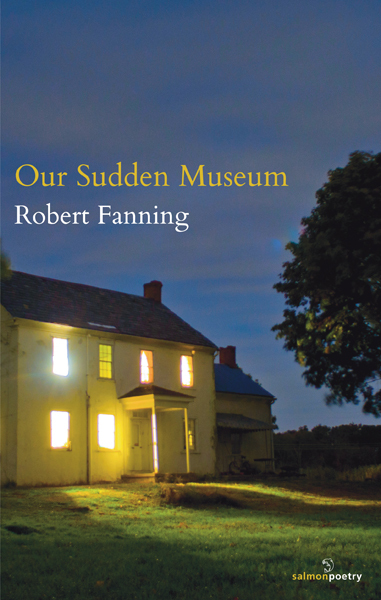 With elegies to a brother, sister and father at the core, Robert Fanning’s third collection examines what sustains in us in spite of loss. In richly sonic and poignant lyrics, we witness the wilder forces beyond our houses and families and bastions of safety—of birds and wind, field and sea—of the beauty and devastation that we cannot contain and to which we eventually succumb. In poems alternately harrowing and humorous, bright and bittersweet, Fanning looks beyond grief to his children and the world to come, in a tenacious celebration of both impermanence and of what endures. 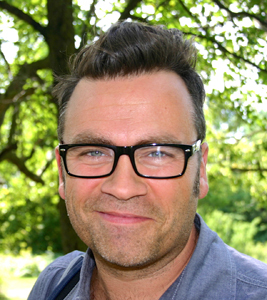 Robert Fanning is the author of two previous full-length poetry collections: American Prophet (Marick Press) and The Seed Thieves (Marick Press), as well as two chapbooks: Sheet Music (Three Bee Press), and Old Bright Wheel (Ledge Press Poetry Award). His poems have appeared in Poetry, Ploughshares, Shenandoah, The Atlanta Review, and other journals. Recent work has also appeared on The Writer's Almanac with Garrison Keillor on National Public Radio and on the nationally-syndicated radio program The Poet and the Poem, recorded at the Library of Congress, Washington, D.C. He is a Professor of Creative Writing at Central Michigan University in Mt. Pleasant, MI., where he lives with his wife, sculptor Denise Whitebread Fanning, and their two children. You’re gone and I’m still here. No current sparks into flame. repellent air. Our ever faraway near. are almost asleep in rooms they almost had. The walls are the light of almost day. they’re quiet as songs almost composed. almost shattered by the sun, as if to almost pray. which is almost true. He almost is. let go. Of the hand in the dark, moss and worm, the awful gnaw. of children, let go. Of your mother’s hand, your father’s laughter. Of what has happened to us. Of all far-flung and gone, let go. the tickle and itch of weeds, of love’s ooze and ease, let go. the anchored dream, the hold and hull of flesh and soul. of anger’s black anvil. Of the fresh and cleansing rain, of every breath. of shells, of the gulls, let go. Let go of thrust and skirl, of desire. of spring mornings, of chasing kites, of running with shoes untied. your love’s hands. Of horizon, of what will become of all of this. Of loose tooth, spindrift, farewell, here goes: let go.